Home / All the Fun at the Fair! 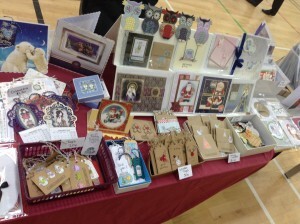 The annual PTFA Christmas Fair has just celebrated its 7th year. 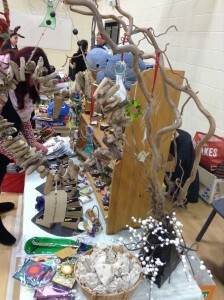 Once again, a wide selection of stalls led by businesses, students and members of the PTFA adorned the campus offering crafts, cakes, games and gifts. We also had the primary school choir performing some beautiful songs, had refreshments for those who shopped till they dropped, and Santa was in his Grotto welcoming children who told him their Christmas wishes. 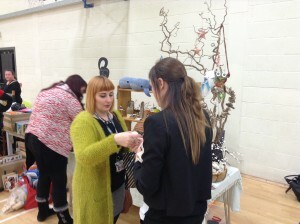 The Fair made nearly £1,900 which will be put back into the campus to help support our learners. 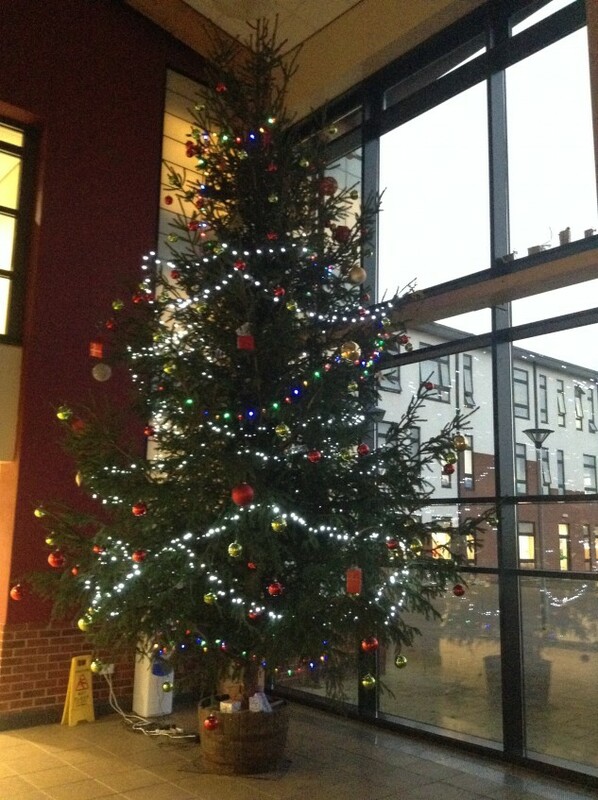 Thank you to everyone who took part, volunteered and sponsored the event. Special thanks must go to one of our Year 11 students Matthew and his team, who have led the same stall—the infamous Teddy Tombola—for the last 5 years. 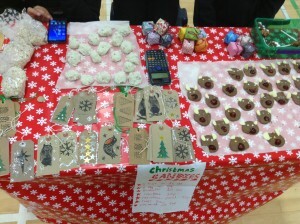 This stall has helped to raise nearly £700 for the PTFA, with this year topping the total at £155. 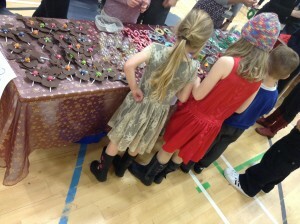 The student stall who makes the most money each year wins a box of chocolates – an incentive for any budding entrepreneur!